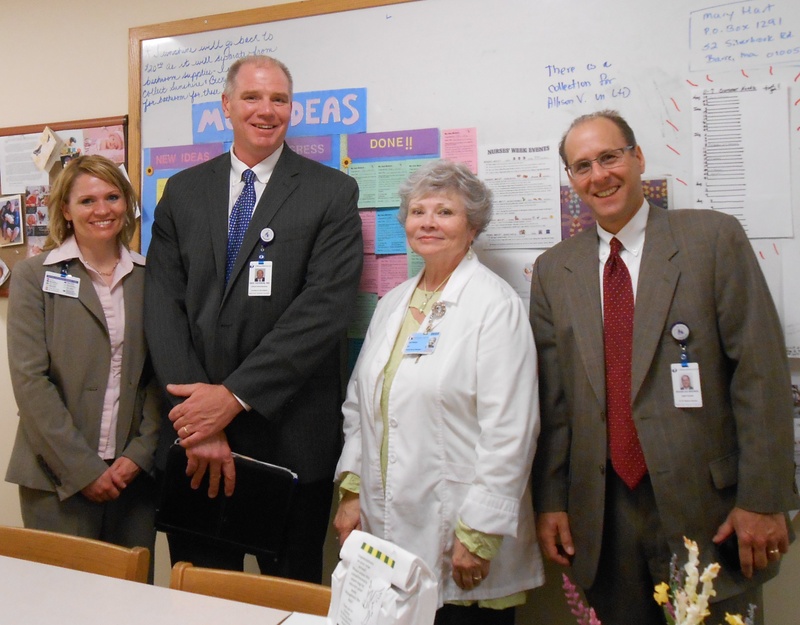 I had the opportunity to round at HealthAlliance Hospital last week where I saw some of the most innovative idea boards I have ever come across. 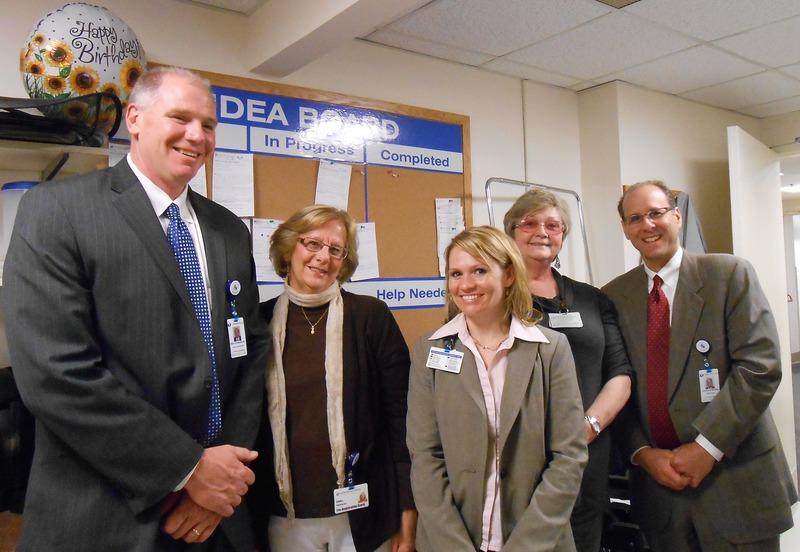 I visited four of the 52 idea boards currently in use at Health Alliance and was thoroughly impressed with how far they have come in a short period of time. Doug Brown, senior vice president for UMass Memorial health Care and the president of Hospitals, Inc. (the company that all our community hospitals are under), was on hand with me and took responsibility for finding some “special ingredients” and implementing several ideas needing help. The number one priority for our executives when they are rounding is to find great ideas that our caregivers have come up with but, for one reason or another, can’t implement without management’s help. The executive then takes responsibility for working with the caregivers to implement the idea, if possible. I also enjoyed visiting with the Maternal and Child Health, Patient Access, and Lab teams during my visit to HealthAlliance. They are all doing great work! I’ve included a few more photos from my visit below. 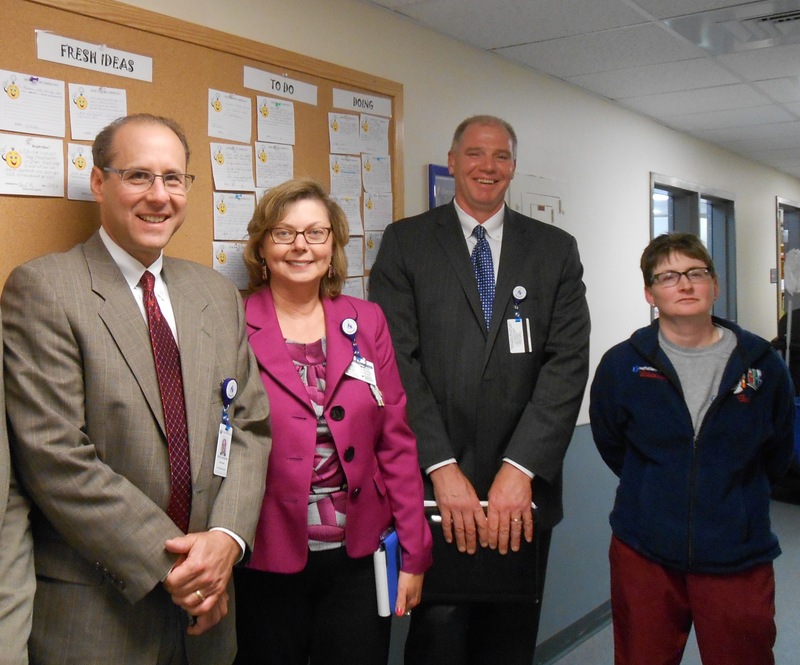 Back at the University Campus at the Medical Center, I visited a newly-rated 4-star idea board in Benedict Internal Medicine. I could not believe how engaged everyone was in discussing the ideas during their weekly huddle. The huddle is the most important part of the idea system, a board without a regular huddle to discuss the new ideas and plan the execution of them is meaningless. I like to think of the board as the tool we use to facilitate the huddle. 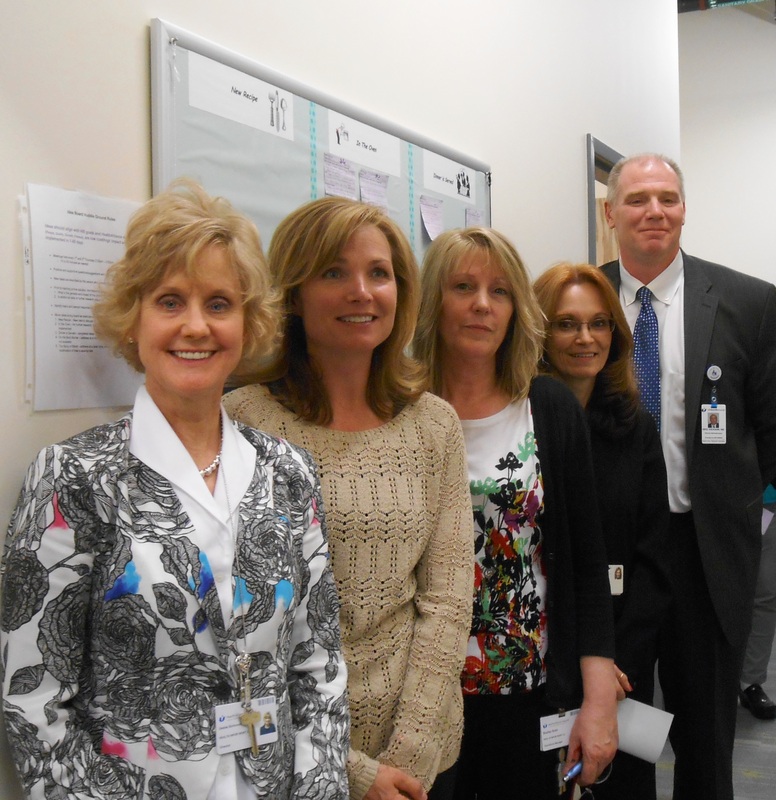 The Benedict huddle, empowered by manager Ann LaFleur and owned by Lead Ambulatory Service Reps Tanya Cournoyer and Michelle Memnon, has evolved since the installation of their initial idea board – they did not become a 4-star board overnight. As with any change or new tool, there is a learning curve, and many bumps along the way. Ann, Tanya, and Michelle lead this change through constant communication of its purpose: getting employees ideas to make their clinic the best place to give care and the best place to get care. Each week they made small changes to their idea board and huddle, some things worked, some didn’t. When they got stuck, they asked for help from their CITC coach. They improved by standardizing what worked well and learning from their mistakes. Our army of innovators is growing in size as are the success stories coming from your work. This entry was posted in Employee Engagement, Employees, Idea System by Eric Dickson, MD, MHCM. Bookmark the permalink.